We see the abbreviation often, but what does COPD stand for? The answer: chronic obstructive pulmonary disease—a condition that leads to blockage and damage to your airways. Here, we explain COPD one letter at a time. What does COPD stand for? Chronic obstructive pulmonary disease, a debilitating condition for which there isn't a cure. Rather, those who suffer from COPD need to manage its symptoms. Chronic obstructive pulmonary disease is a debilitating respiratory condition for which there isn’t a cure. It results in chronic coughing and shortness of breath. Treatments ranging from inhalers to medications to surgery may help those with COPD to manage its symptoms. COPD affects some 16 million people, making it the third-leading cause of death in the U.S., behind only heart disease and stroke. Mrs. Bush, who also struggled with congestive heart failure and Graves’ disease, had been a smoker for decades, but quit in 1968. It may have contributed to her COPD. Chronic: Usually refers to a disease or medical condition that has lasted for at least three months. In the cases of serious health challenges, such as COPD or lung cancer, the word “chronic” also suggests that the condition is likely to get worse over time. Obstructive: In this case, it refers to a blockage in some part of your airways or another problem that makes normal breathing more difficult. If you have COPD, inflammation caused by chronic bronchitis causes an overproduction of mucus, which leads to an obstruction in your airway. Pulmonary: Refers to the lungs. 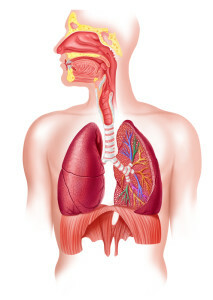 Your lungs are filled with tiny air sacs called alveoli at the very ends of the airway known as bronchi. To work properly, alveoli need to stretch like balloons. The sacs should fill up with air when you inhale and then empty with each exhale. COPD causes the alveoli to lose their elasticity, making it more difficult to expel each breath. When you can’t breath out, it’s hard to breath in, and the breathing difficulty associated with COPD can result. Disease: A disorder that affects a particular part of the body and produces symptoms. However, COPD can lead to complications elsewhere in the body, too. The arteries that supply blood to the lungs—which remove carbon dioxide from blood cells and replace it with oxygen—can become damaged by COPD. This can then lead to problems such as pulmonary hypertension and heart disease. Difficulty breathing can also take their toll on your emotional and mental health. Your risk of depression is higher if you have COPD. The COPD definition—characterized by coughing and shortness of breath—actually has a broad meaning. The term is used to describe several lung diseases, but primarily emphysema and chronic bronchitis. It’s worth noting that chronic bronchitis is different from acute bronchitis, which is a temporary inflammation of the mucus membrane in the bronchial tubes, often caused by a virus. Acute bronchitis can often be treated and resolved within two to three weeks without long-term or chronic problems. So what does COPD stand for if it’s actually referring to emphysema and chronic bronchitis? Why do health experts group these conditions together under one broad term? Well, according to the National Institutes of Health, most people who have COPD have both emphysema and chronic bronchitis. It makes sense to view these patients as having a single, but complex, respiratory condition. However, ask your doctor the question “What does COPD stand for?” and you might get a slightly different answer than what we’ve described above. For example, you may have chronic bronchitis without the airway problems associated with emphysema. So your physician may diagnose you as having chronic bronchitis only. Just know that one doctor’s COPD definition may be different than another’s. The key in addressing it is to be proactive. COPD is one of the most debilitating conditions in the United States. Although it’s not curable, there are treatments that include medications, inhalers, and, in serious cases, surgery. Don’t hesitate to see your doctor if you have a nagging cough or shortness of breath. The sooner you can quit smoking or start treatment, the better your quality of life will be. And if you don’t yet have the symptoms of COPD, talk with your healthcare provider about what you can do avoid problems down the road. Obviously, quitting smoking is the best thing, if you’re a smoker. Even if you’ve smoked for years, you can start to restore lung and heart health as soon as you quit. “What does COPD stand for?” Well, for about half of the 30 million people in the U.S. who have chronic obstructive pulmonary disease, the answer may remain unknown. That’s because approximately 16 million people have COPD symptoms but have not been officially diagnosed. About 7 million women in the U.S. live with COPD, but many of them don’t know it. Unfortunately, COPD is often misdiagnosed in women as asthma. This misdiagnosis leads to a delay in getting proper treatment. Since 2000, more women than men have died from COPD. Women are more vulnerable to the effects of COPD because they have smaller lungs, and the decrease in estrogen levels after menopause appears to play a role in worsening COPD. More than twice as many people have chronic bronchitis as emphysema. The majority of those people are over the age of 45. Women are about twice as likely as men to have chronic bronchitis. The rates of men with emphysema are declining, while the rates for women are on the rise. COPD is the third-leading cause of death in the U.S. (behind heart disease and cancer). It accounts for about 147,000 deaths annually. 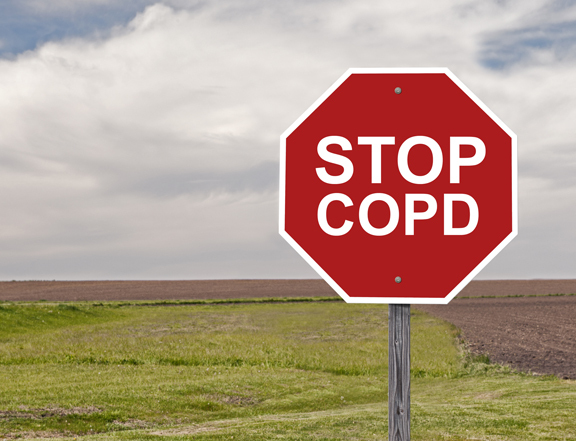 Rates of COPD are highest in the Midwest and the Southeast. About 3 million people around the world die of COPD. The vast majority of COPD cases are found in low- and middle-income countries, because they have fewer well-implemented prevention and treatment programs. Smoking is linked to about 80 percent of all COPD deaths. Exposure to workplace pollutants is associated with nearly 19 percent of COPD cases in the U.S., according to one study. In poor countries, exposure to cooking fuels in badly ventilated homes is a major cause. Health officials believe the numbers of people who will die of COPD will grow in the next several years, due to higher smoking prevalence around the world and to aging populations. COPD develops slowly, over a period of years, but symptoms usually start to become obvious after age 50.
after menopause, aging, asthma, bronchitis, cancer, chronic bronchitis, chronic bronchitis causes, chronic obstructive pulmonary disease, congestive heart failure, cooking, copd, copd causes, copd definition, copd diet, copd guidelines, copd home remedies, copd signs, copd signs and symptoms, copd symptoms, depression, diet, effects of copd, emphysema, estrogen, graves disease, health, health news, heart disease, heart failure, heart health, home remedies, hypertension, inflammation, lung cancer, lung diseases, mental health, mucus, obstructive pulmonary disease, pulmonary disease, quit smoking, second hand smoke, shortness of breath, smoking, stroke, university health news, virus, what does copd stand for, your lungs. Last december I was told I had mild emphysema. I was shocked, I had only had minor breathing problems at times. However I had smoked for 17 years when I was very young and had quit over 38 years ago, when I developed asthma. I always heard your lungs were cleared 5 years after you quit smoking, but they don’t tell you the damage is already done! Mild is not mild, I am on oxygen all the time.my son purchased herbal remedy for emphysema from Good health herbs home ,which i used for 6 weeks and am totally COPD free ,all thanks to good health herbs home ..please Stop smoking! It will kill you. Four years ago I was diagnosed with chronic obstructive pulmonary disease (COPD). I have had asthma all my life. I have just been to the doctors and seen a senior nurse who has told me I no longer have COPD and Asthma. My breathing is great and I don’t feel I need inhaler anymore,The COPD and Asthma herbal remedies i purchased online from Dr George (Good Health Herbs Home) worked perfectly just like a miracle,am living COPD and Asthma free now ,all thanks to Dr George God bless…. My twin sister was diagnosed with COPD few years ago. She was on a trial for some months. It turned out that the drug she was given was not a placebo, but the real thing and it was working. Then they pulled the plug on it saying it was not viable! So. they got her on another trial, that trial also was cancelled after a while. 2017 I ordered COPD herbal remedy from Best Health Herbal Centre online and they shipped it to me. She only used the COPD herbal remedy for 5 weeks, all her symptoms disappeared, she stopped wearing oxygen and my family doctor confirmed her, COPD free now. Please don’t ignore, this post is real. My father was diagnosed With COPD this year. He had been a smoker since he was 25 years old and was about 65 years at diagnosis, So he had been smoking for about 40 years. We were so well educated about the damage smoking had done to his lungs and we know there is no cure to COPD, But thank GOD for leading us to BEST HEALTH HERBAL CENTRE. Best health herbal Centre is a Legit herbal Centre, They reversed my father COPD completely within 6 weeks. Their COPD herbal formula has No side effect and it works like a miracle. Please folks don’t hesitate to contact BEST HEALTH HERBAL CENTRE via ww w besthealthherbalcentre co m for proper and healthy life Thanks. I have had ASTHMA my whole life but about 7 years ago my asthma got so bad and was diagnosed of EMPHYSEMA/COPD which was most likely due to the asthma. I was on double antibiotics and steroids, still didn’t feel any better. It was hell for me due to the severe difficulty breathing. April 2016 my sister in-law told us about Rich Herbs Foundation where she ordered herbs that effectively treated her arthritis. We ordered the COPD herbal treatment after reading positive reviews, i am happy to report this COPD herbal treatment effectively treated my lungs condition. My quality of life has greatly improved and every one of my symptoms including difficulty breathing and wheezing are gone. I will be 52 soon and have never been healthier. I thought you might be interested in this article on https://universityhealthnews.com: What Does COPD Stand For?